Get your nursery all ready for your new little one by decorating the walls in their room with some of the cutest wall decor. 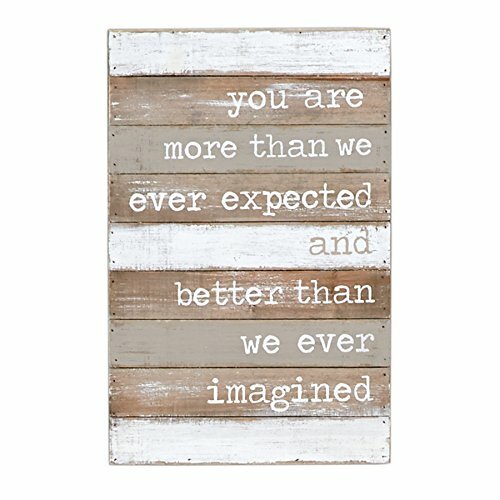 Find something that has a cute saying on it and fits your nursery’s theme. The Kids Parties store has some of the best baby shower gift ideas, as our products are a hand-picked, unique selection. 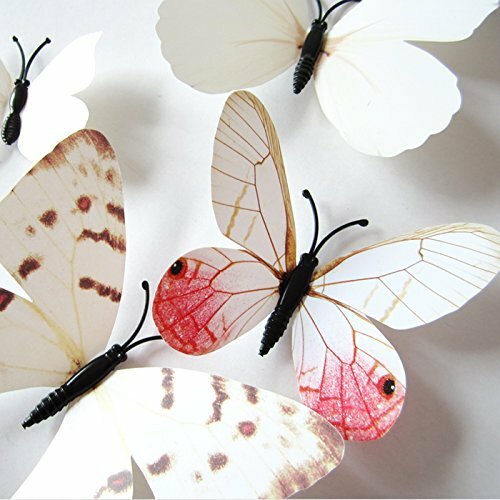 We hope you enjoy our extensive list of nursery wall decor! 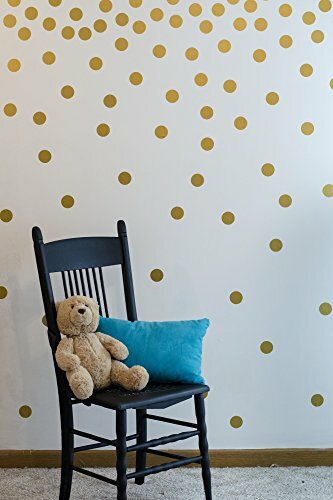 These simple golden wall decals can easily be pulled off the sheet then stuck anywhere to the wall – will not ruin your wall paint or other art! STURDY CONSTRUCTION – Organize your children’s books, toys, small picture frames, and other decorative pieces with this Nursery Room Wall Shelf Set from Fast Home Goods. It is made with a sturdy, solid wood and has an understated yet functional design that is great for bedrooms, kitchens, and bathrooms. MULTIPURPOSE SHELF – Unleash your creativity with this wall shelf set. You can place it in your child’s bedroom as a space-saving bookshelf or use it as a spice rack or condiment stand in the kitchen. You can also put it in the bathroom to store your shampoo, conditioner, face wash, body soap, toothpaste, toothbrush, and other toiletry essentials. COMES IN SET OF 2 – Fast Home Goods offers you a durable, smart, and functional wall shelf set. In addition, when you buy this product, you’ll get two well-designed shelves! 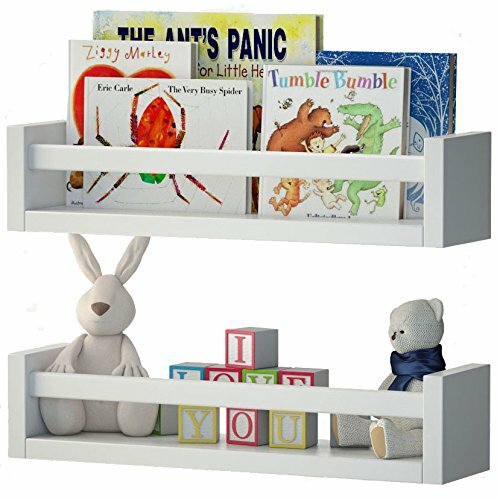 This nursery room wall shelf comes in a set of two to provide enough space for your books, toys, candles, and other small items at home. 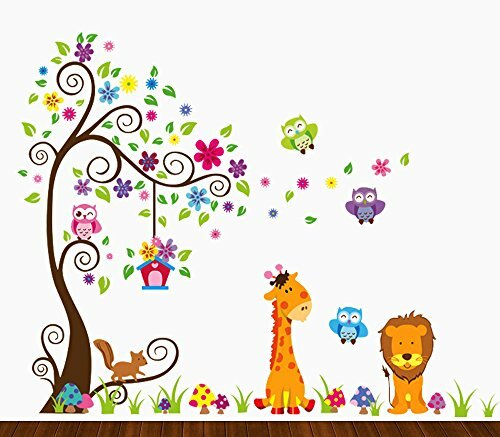 Use these adorable zoo wall stickers to decorate any room quickly and successfully. 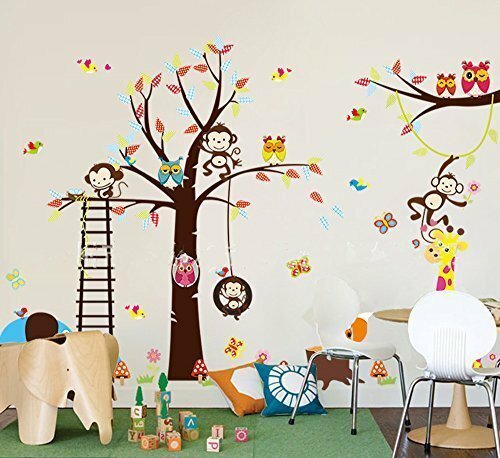 Add fun to a nursery or children’s bedroom with stickers.